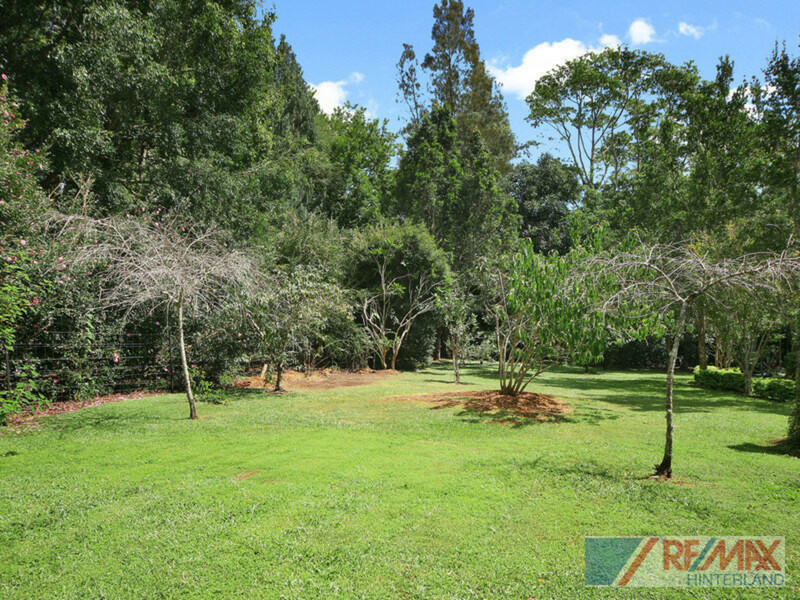 A rare delight awaits when you discover this country home nestled on 1 private acre. 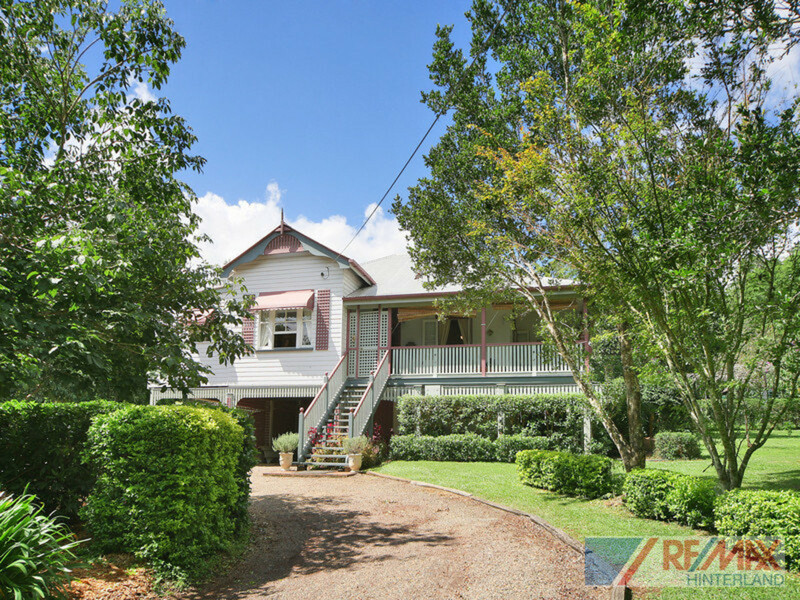 If you have been dreaming of that perfect character home for you and your family to enjoy, your dream may have just become a reality. 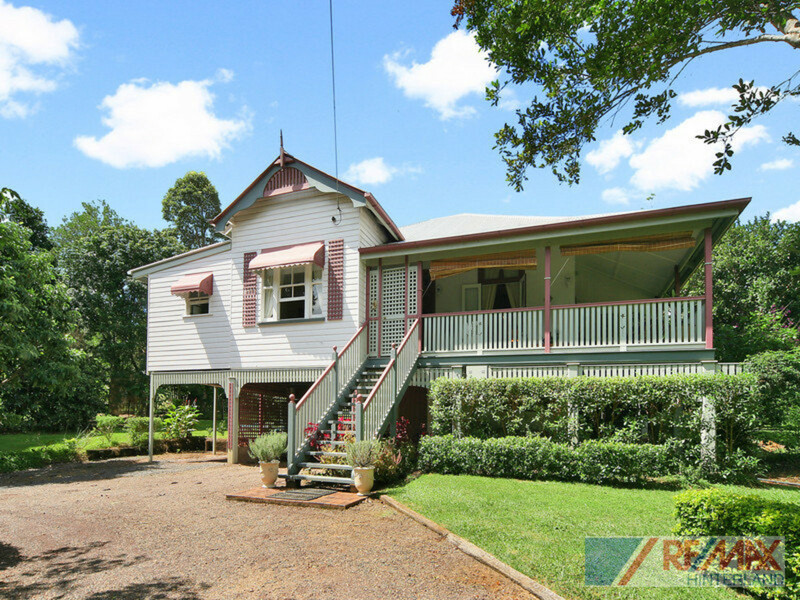 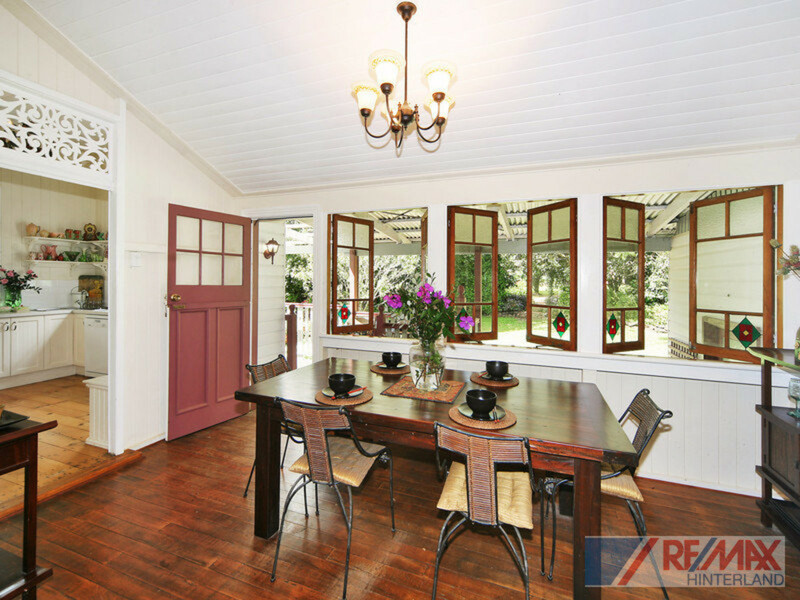 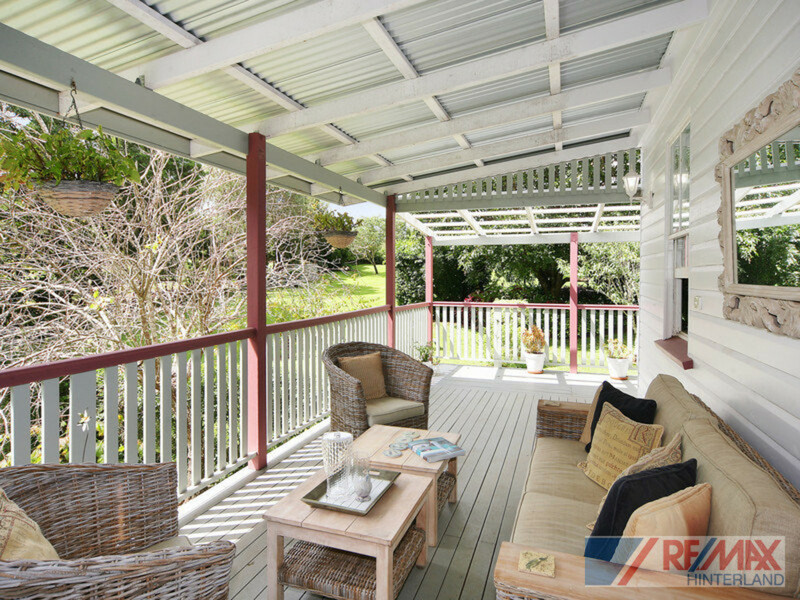 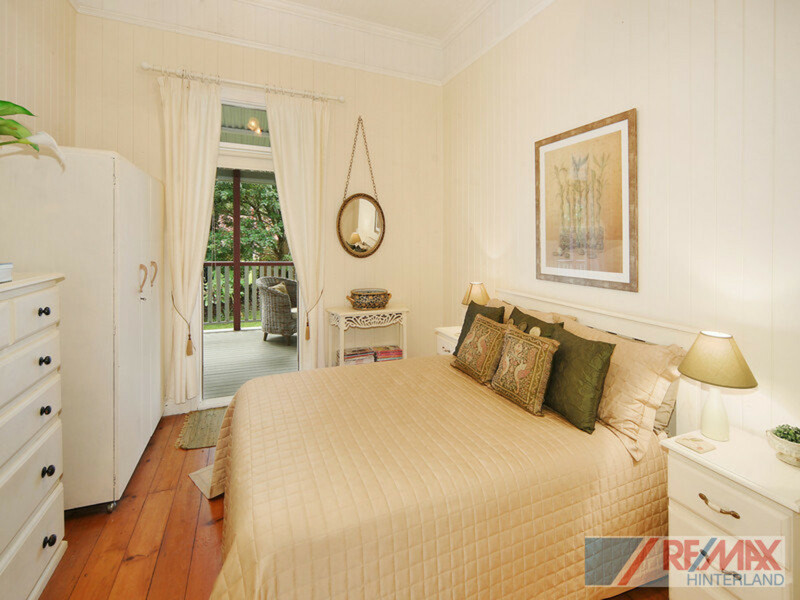 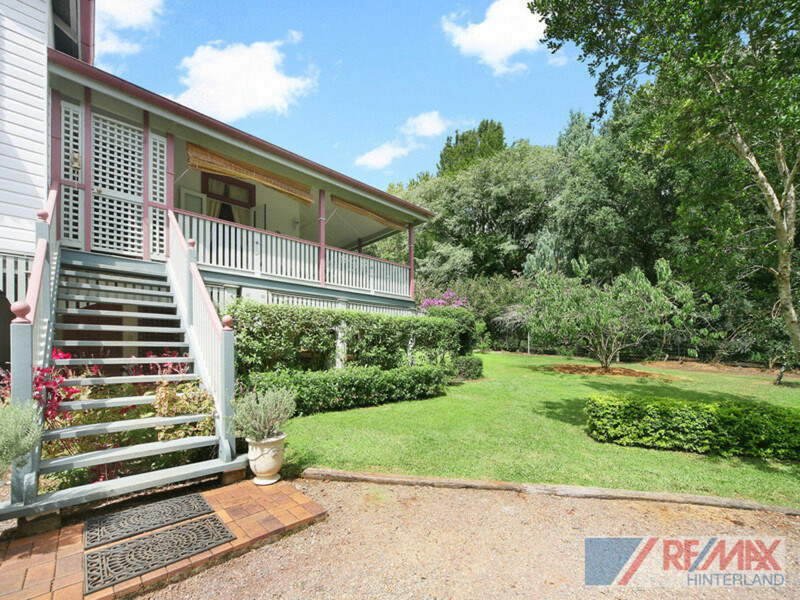 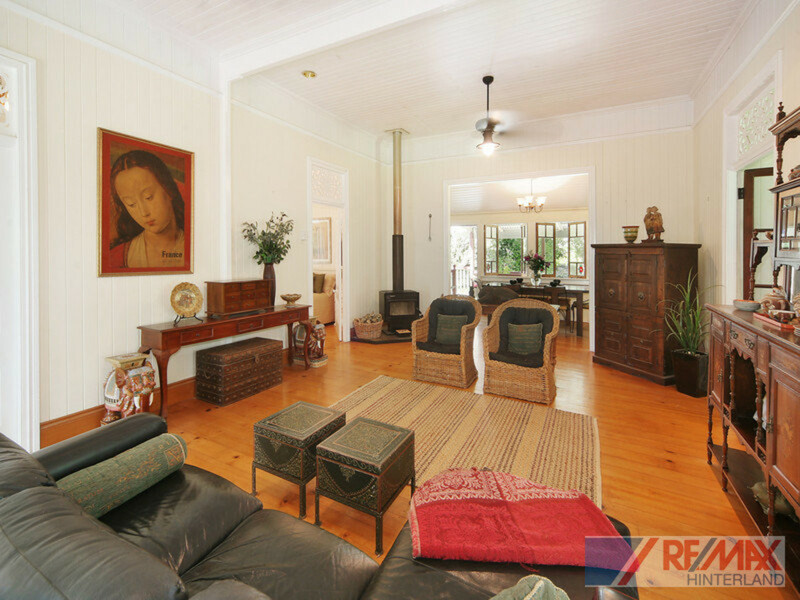 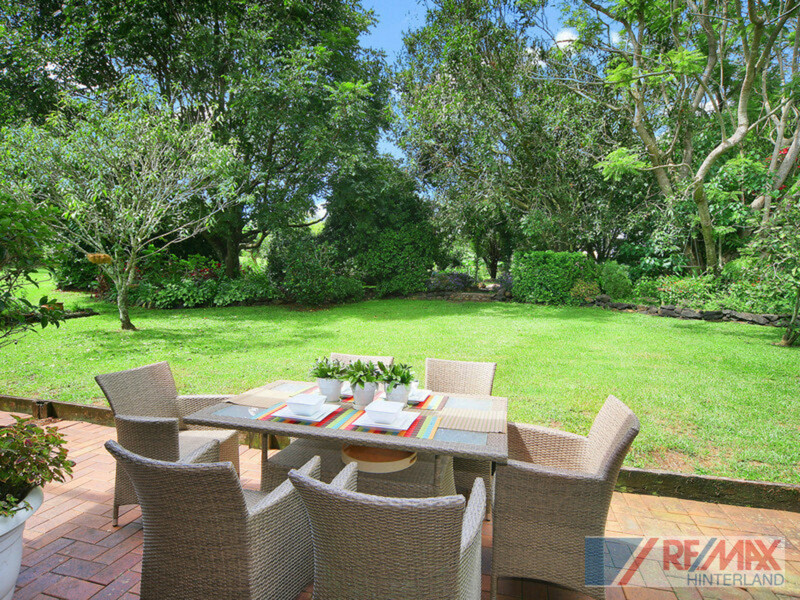 The private entry to the property reveals the circa 1906 Queenslander, surrounded by mature and botanic like surrounds. 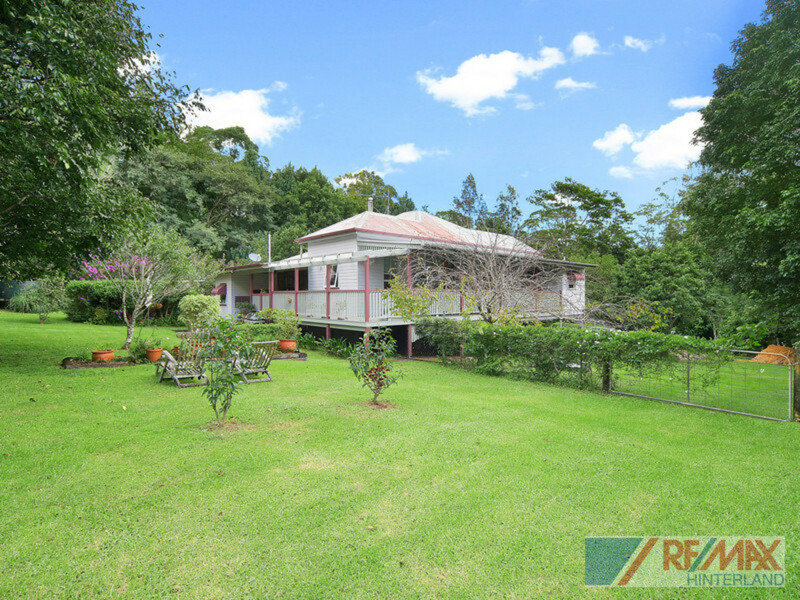 You will appreciate the character of this home with the french doors, casement windows, detailed fretwork and high ceilings and also enjoy the many areas both inside and out allowing you to relax and soak up the peaceful and leafy surrounds. 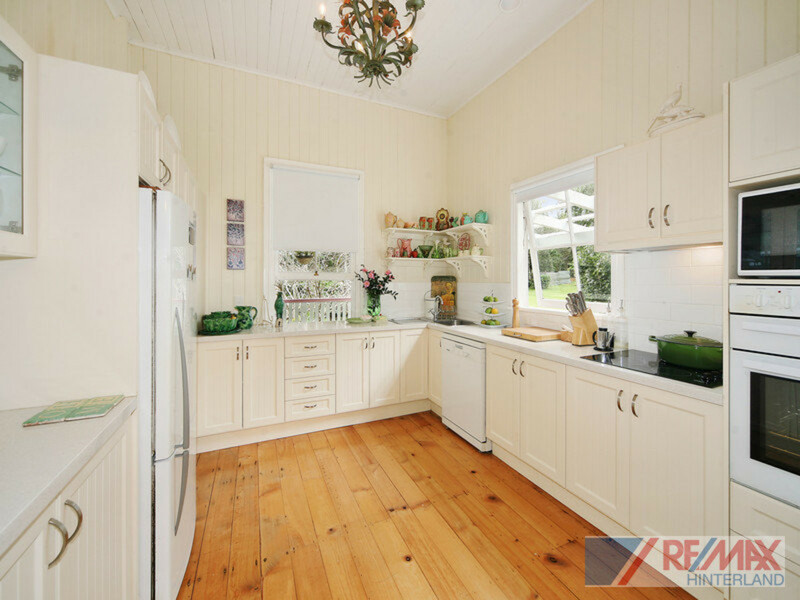 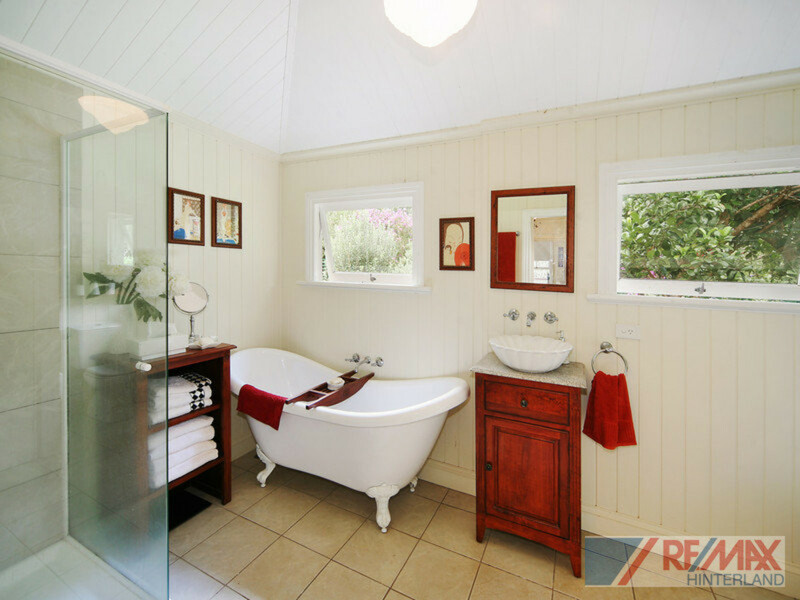 The current owners have contributed tasteful renovations to the home with a superb kitchen, ensuite and northern verandah. 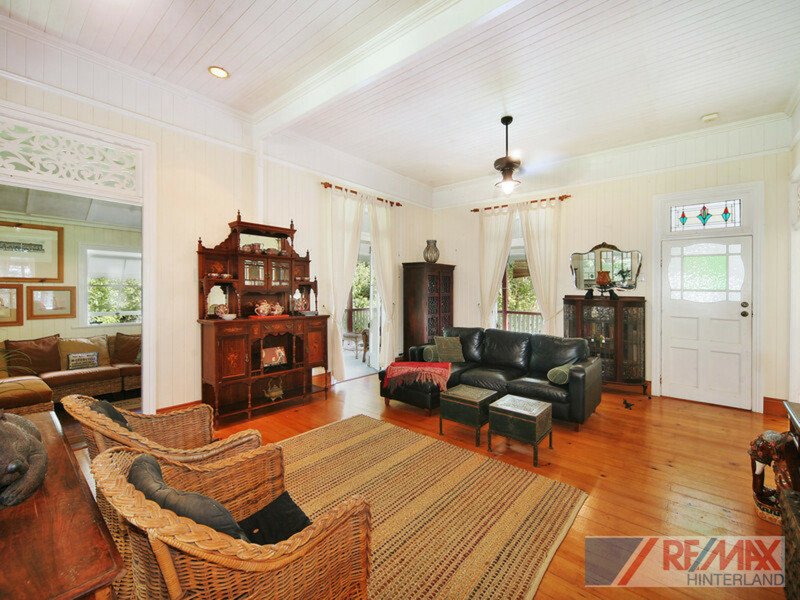 The floor plan is very practical with an additional study room located off the main living area, separate dining room, and a large main bathroom. 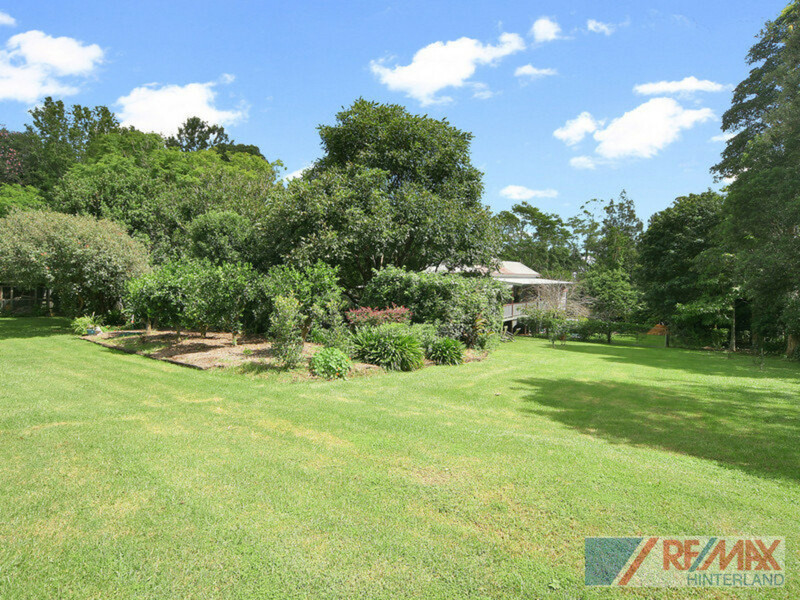 The grounds are the perfect size at 1 acre, and offer a large fruit orchard, chook pens, a water bore, beautiful gardens and mature trees. 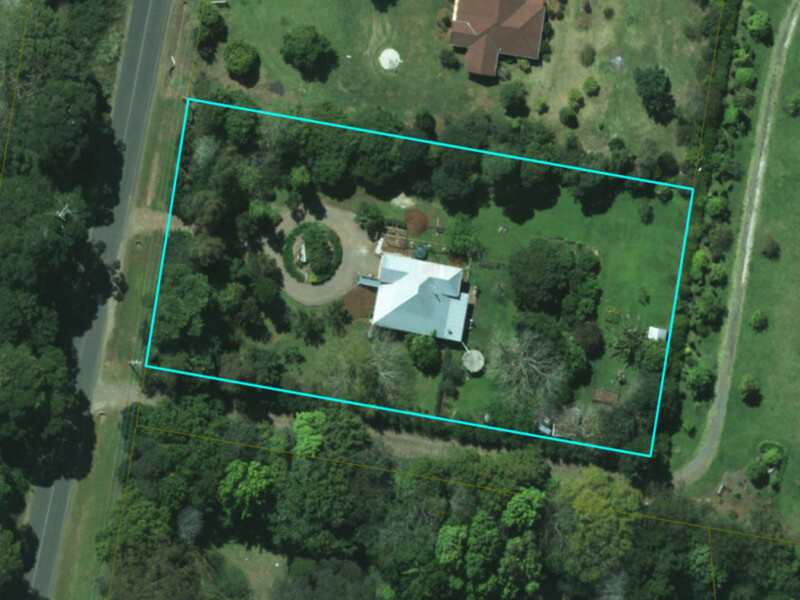 Appreciate the fact that buying an established property such as this, is impossible to replicate quickly without great time, work and cost. 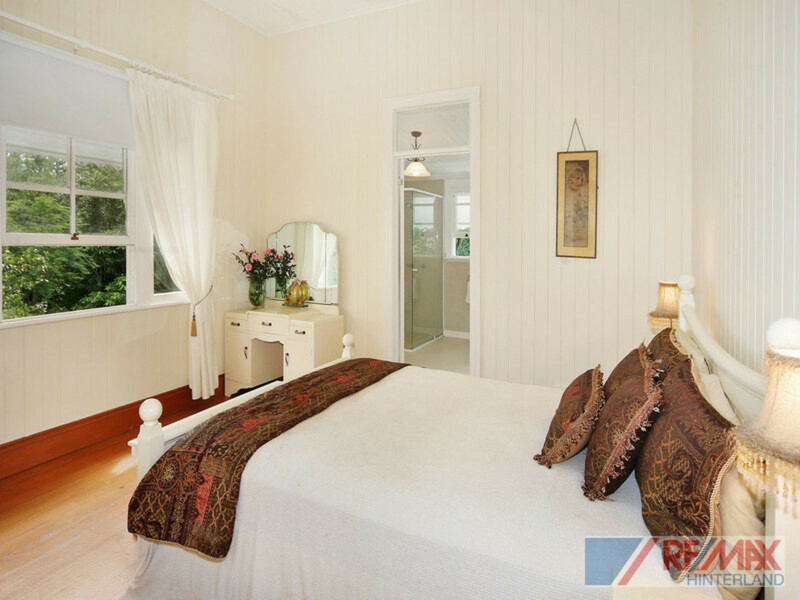 You can enjoy the time already spent and invested into this property from the day you make it your home! 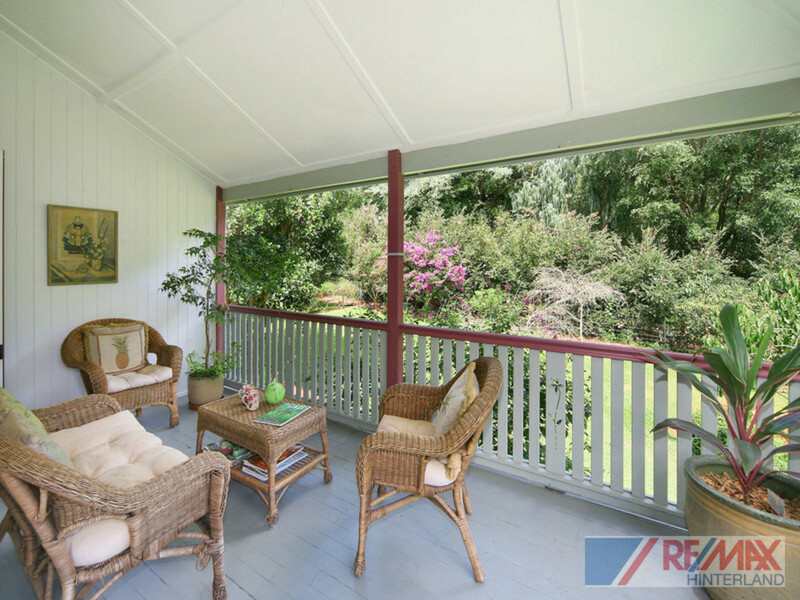 Call RE/MAX Hinterland to arrange your private viewing.